TIME THIEF (AUS) (Bay 2005-Stud Aust. 2010, South Africa 2015). 2 wins to 1200m, MRC Zeditave S., L. Sire of 192 rnrs, 116 wnrs, inc. SW In Her Time (ATC Galaxy H., Gr.1), Volkoff, In Good Time, Happy Cash, Rom Baro - Kingsfield (H.K. ), SP Tumbler, Sudden Wealth, Copy Watch - High Five (H.K.) and of Adoradancer, Lady le Jean, Masquerade, Memes, Working From Home, Hot Goods, East Afrika, Solaris Spectrum, Temps Voleur, Debt Collector, Ooshe, etc. Conarchie (g. by Time Thief). 9 wins. See below. Quadacus (f. by Spartacus). 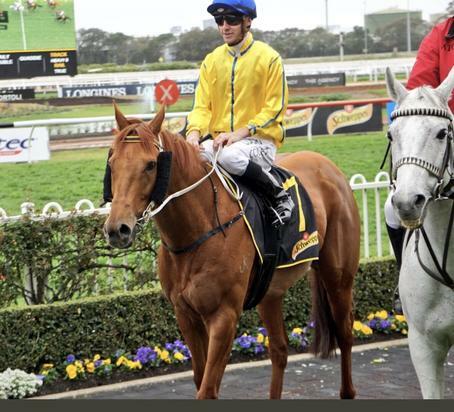 2 wins at 1200m, 1400m in 2018-19 in Aust. Assessed (g. by Savabeel). Winner at 1750m in Aust. Assertive Az (f. by Shrewdy). Winner at 1400m in Aust. Sounds Ready. 7 wins to 1400m, BRC Coca-Cola Amatil H., 2d VRC Bulban 2YO H., 3d QTC Prince Gauntlet H.
One Mansini. 2 wins at 1200m, 1400m to 2016-17, BRC Carlton Mid H., 2d BRC Country Music Raceday H., 3d BRC Hamilton Hotel H., SCTC Skyharness H.
Self Esteem (Stratum). 2 wins at 1600m, 1800m, A$155,090, ATC Peter Malone H., Cellarbrations H., 2d Gold Coast Bracelet, L, ATC APN Outdoor H., Tab.com.au 2YO P., 3d ATC McGrath Estate Agents H., 4th ATC Vinery Stud S., Gr.1, BRC The Roses S., Gr.2. ASSERTIVE LAD (Zeditave). Champion 2YO in Australia in 1999-2000. Joint Champion 3YO Colt in Australia in 2000-01. Head of The 1999-2000 2YO & 2000-01 3YO (joint) Australasian Classifications. 8 wins-5 at 2-from 1000m to 1600m, A$3,358,275, AJC Sires' Produce S., Gr.1, Doncaster H., Gr.1, Champagne S., Gr.1, Royal Sovereign S., Gr.2, MRC Moonga S., Gr.3, GCTC Magic Millions 2YO Classic S., RL, AJC Empirelink 2YO Quality H., STC Bet with a Bookmaker 2YO H., 2d STC Canterbury S., Gr.2, Skyline S., Gr.3, 3d STC Golden Slipper S., Gr.1. STAGE PRESENCE - DYNAMIC BLITZ (H.K.) (Elusive Quality). 10 wins to 1200m, A$39,870, HK$4,354,500, M$288,000, 441,600Dhs in Aust., HK and U.A.E, Meydan Al Shindagha S., Gr.3, HKJC Hong Kong Racing Journalists H., Barker H., Association of Hong Kong Journalists H., MRC Ark Regal H., HKJC HKU JC Clinical Research H., 3d Macau Sand Premier Cup, L.
SO ASSERTIVE (Zabeel). 5 wins from 1100m to 2000m, A$472,830, BTC Chairman's H., Gr.3, 2d AJC Warwick S., Gr.2, NSW Tatt's RC Chelmsford S., Gr.2, AJC Frank Packer P., Gr.3, Craven P., Gr.3, 3d STC Tulloch S., Gr.2, Ajax S., Gr.3. New Tipperary (High Chaparral). 6 wins from 1350m to 1900m, A$366,825, to 2016-17, ATC November Topaz H., Blacktown Workers H., McGrath Estate Agents H., 2d ATC Ajax S., Gr.2. Ohceedee (Power). 3 wins at 1200m, 1600m to 2018-19, Hawkes Bay Paul Bayes Livestock H., 2d Waikato RC Doug Hawkings 50th Birthday S., Whangarei RC ITM H., 3d ARC Great Northern Foal S., L.
Race Record: 47 Starts 9-3-6 A$338,776. 9 wins to 1400m, A$338,776, to 2018-19, ATC Pro-Ride H., Zyrtec Spring H., TAB Rewards H., Turf Club H., Everest Carnival H., 2d ATC Tamworth Professionals H., Ron Finemore Transport H., TAB Rewards H., 3d ATC Cellarbrations H., Rosehill Bowling Club H., Mounties Group H., Cafe Culture & Insitu H., Pro-Ride H.